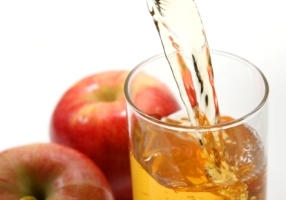 Arsenic in Your Apple Juice: Dangerous or Perfectly Safe? If you are one of the many parents now second guessing your decision to pack a juice box in your child’s lunch tomorrow, you are not alone. In a recent episode of the Dr. Oz Show, national health guru Dr. Mehmet Oz claimed that apple juice not only contains arsenic, but levels much higher than what is deemed safe for our drinking water. According to an independent study conducted on behalf of the Dr. Oz Show, ten of the three dozen apple juices sampled came back with an arsenic level higher than the amount allowed in drinking water. Of these, Gerber, Juicy Juice, and Mott’s were three of the highest with 36 parts per billion, 22 parts per billion, and 16 parts per billion reported, respectively. Yet, despite these results, the FDA wants you to feel assured that pouring a glass of apple juice is still safe to do. In fact, the FDA claims there is no public health risk associated with drinking apple juice and that they have been performing safety checks for years to ensure that what we drink is indeed safe. A safety level for arsenic has not been set for juices and although this may seem alarming, the FDA states that the type of arsenic primarily found in juices is organic arsenic, an essentially harmless form. In the case of water, the primary source is inorganic arsenic which is the form typically considered to negatively impact health when consumed in large quantities. Although Dr. Oz and the FDA may have differing opinions on whether apple juice is indeed safe to drink in its current state over an extended period of time , both seem to agree that continuing to drink your favorite brand of apple juice for the time being is perfectly fine to do. This may seem slightly contradictory, but arsenic accumulation doesn’t happen over night. Although this study may have opened your eyes to the world of food safety, don’t let it be the only study you use to build your case against apple juice. The FDA really has been testing juices for a long time and that shouldn’t be dismerited with just a few single studies. If there is one sure thing about nutrition science, it’s that there never really is a sure thing! Our knowledge and understanding of nutrition is always evolving and this can be down-right confusing. Use common sense when reviewing new health claims or shocking study results. By keeping a level head, you can often avoid mass food panic by taking the time to identify what truth lies behind each new claim. Often a little bit of truth exists on both sides of the story and common sense may be your best tool in properly identifying where that truth exists. 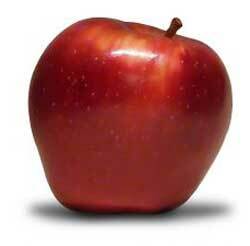 Extreme scenario #2: Dr. Oz is right and the arsenic levels in apple juice are higher than we think. Bottom line: Although the FDA frequently tests apple juice and it probably is safe for long-term consumption, perhaps I should cut back on the amount of apple juice I provide to my kids on a daily basis. By thinking in extremes, you can actually come to a pretty reasonable response. Whether this study is accurate or not, it provides us with the perfect opportunity to reevaluate the frequency in which we provide our children juice. Although most children love juice, it’s not really something they should be getting more than once or twice a day. Juice is high in sugar, low in fiber, and full of calories that children could get elsewhere. Instead, offer your children water frequently throughout the day to keep them hydrated and incorporate whole fruits instead of fruit juice when you can. Not only will this allow your child to get more of their calories from nutritionally dense foods, but will also promote a varied diet that can help your child eat well for a lifetime. Kati Mora, RD is a private-practice dietitian in Michigan. She has a master's degree in nutrition and dietetics. Kati specializes in realistic nutrition guidance for weight management, diabetes, cardiovascular health, and HIV/AIDS management. She is a proud mom to two little boys.